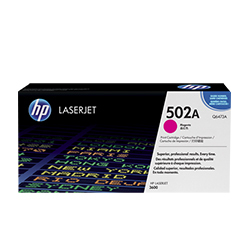 HP Color LJ 3600 Series 502A Magenta Toner 4K (Q6473A) : Disk-O-Tape, Inc.
Fast, easy, brilliant results. The new Q6473A ColorSphere toner from HP is tuned with the printing system to optimize quality and reliability. When hassle-free, photo-quality printing is this easy, you're more productive and that's real value. High-technology matches the brilliance of your ideas with new HP ColorSphere toner. Improved gloss produces sharp blacks and a dynamic range of bright, brilliant colors for photo-quality business printing that brings your ideas to life. HP Smart technology is finely tuned to the unique properties of HP's new ColorSphere toner, enabling the cartridges and the printer to trigger adjustments that optimize print quality and reliability. 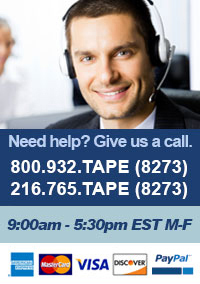 Hassle-free results save time, provide value.